This upcoming season in new musicals has me brimming over with excitement and confidence. Since I don’t delete entries here, those words may seem foolish in retrospect. But writing this in mid-September, looking forward, 2013-2014 seems to be shaping up as the sort of season I’ve long prayed for. When a songwriter you’ve long admired finally gets his big break on Broadway, that’s something to celebrate. Steven Lutvak, who long ago coached my wife on her singing, has been toiling for years and years on A Gentleman’s Guide To Love and Murder in collaboration with Robert L. Freedman. They’ve won a couple of prestigious awards, but have remained under the radar. (I have little regard for those over-the-radar dudes who generate a lot of press but next to no good work. Lutvak and Freedman have focused on quality, rather than making names for themselves.) What particularly enthuses me is that Lutvak is genuinely witty. His lyrics (such as We Were Bagel-Makers to the Czar) contain punch lines that land, solidly, leading me to have high hopes for the musical comedy few are talking about. I’m always looking to see a musical comedy in the fine tradition of A Funny Thing Happened on the Way To the Forum or How To Succeed In Business Without Really Trying. And if the the titles are a little shorter, that’s fine with me. After an incredibly prolific career making movies I’ve often enjoyed, Woody Allen is adapting his Bullets Over Broadway for the musical stage. Hard not to be intrigued. 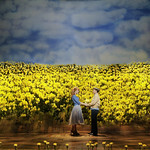 The screenplay was co-written with Douglas McGrath, and now he’s got a musical coming to Broadway, Beautiful. This will mark the Broadway debut of the immensely talented director Marc Bruni, who helmed my Such Good Friends so brilliantly six years ago. The pre-eminent songwriting team of the past quarter century has got to be Lynn Ahrens and Stephen Flaherty. They’ve had a large number of shows produced, including two pretty terrific ones, Once On This Island and Ragtime. Their Seussical didn’t light up New York, but since closing years ago it’s become one of the most produced American musicals. Now it’s been a dozen years since they’ve had a new show on Broadway, and the excitement is mounting as we countdown to Rocky, at The Winter Garden. I don’t know about you, but I’m ready to rumble. It puzzles me that Jason Robert Brown seems to be far more popular and well-known than Flaherty and Ahrens. I was bored to tears by his musicals Parade and The Last Five Years, but left each thinking that it’s likely that someday he’ll write a show that I enjoy. Could The Bridges of Madison County be it? Star Kelli O’Hara and director Bartlett Sher have done interesting work before, so there’s no reason to cast aspersions now. We’ll cross these Bridges when we come to them. Andrew Lippa is someone else who’s penned fine songs for less-than-terrific projects. His Big Fish is helmed by the Tony-laden director/choreographer Susan Stroman, a genius in the Jerome Robbins/Bob Fosse/Michael Bennett tradition. The stars are the always-entertaining Norbert Leo Butz and Kate Baldwin, who appeared in a fund-raiser for a show of mine long before she became Broadway’s go-to soprano. And, as always, those who go to Off-Broadway are more likely to see something special, such as new musicals by Jeanine Tesori (Fun Home), John Kander (The Landing) and William Finn (Little Miss Sunshine). I ask you: who’s better than them? By now, it must seem that every new Broadway effort’s based on some recent movie. Not so. The current original First Date will be joined, half a year from now, by If/Then. It’s by the only Pulitzer Prize winners producing new musicals these days, Tom Kitt and Brian Yorkey. I tend to mention prizes a lot, I know. And maybe I make too much out of a laurel and hardy reason to go to the theatre. But awards have a way of piquing my interest in what the Pulitzer, Larson, Ebb or Kleban honoree is going to do next. I had no interest at all in Aladdin until I saw that Chad Begulin (who has a Kleban) is one of three lyricists. I found the movie a huge disappointment mostly because the great Howard Ashman started writing it, but died and then was replaced by the vastly inferior Tim Rice, who believes you can go free-wheeling on a magic carpet. Can you, really? Would it make every moment red-letter? Ach – don’t get me started on Rice. Get the new musicals started instead, already, so it’ll feel like I’m only dreamING. I keep seeing posters all over town for a new television show called The Blacklist and it’s a bit crazy-making because I wrote a musical about the blacklist (Such Good Friends) and this show called The Blacklist is about some fictional blacklist, not the real one from around 1950. Makes one wonder whether anyone’s pitched a series about actual show business blacklisting. Do the networks carry a guilty conscience for, way back when, barring suspected Communists and those who refused to testify against them from the airwaves? Well, that assumes network executives have a sense of history that goes back further than the previous season. More likely, they just don’t consider a show about the scoundrel time a good idea. Soviet expansionism led to massive fear about the possibility there were Communist spies in the United States. Senator Joe McCarthy waved a piece of paper and claimed it listed known Communists in the State Department. Congress held hearings. The House Un-American Activities Committee had the power to subpoena and question. Seeking headlines, they decided to search for Reds in the entertainment industry. Studio executives, worried that the public wouldn’t want to see a film or TV show deemed “Un-American,” set up a secret blacklist: People they wouldn’t hire because they’d been to Communist meetings, or refused to name names before the HUAC. This had the effect of forcing friends to rat on friends. And it spiraled to an extent where presence at a Communist Party meeting twenty years earlier wasn’t the only “crime.” All sorts of organizations were deemed subversive, including charities and ad hoc groups supporting racial justice. Sounds like a load of laughs, don’t it? Well, ten or fifteen years ago, when I began work on my show about the blacklist, I too thought the subject to be so sad, it needed an unexpected element to keep an audience engaged. It needed a load of laughs. If I created characters who were such incorrigible clowns, they’d crack jokes at the bleakest of times, then the true tragedy could play, leavened with levity. Here’s something I always found odd: Mel Brooks (as producer) and Neil Simon both turned their experiences writing for Sid Caesar in the 1950s into popular entertainments. My Favorite Year and Laughter on the Twenty-Third Floor provided lots of yoks, but largely avoided mention of McCarthyism, the nettlesome scourge of most television writers’ lives back then. Now, I’ve suffered through dramas about the period with nary a chuckle. And here I go complaining about a couple of masterful comedies with nary a tear. The film, The Front, however, scratched both itches. Made roughly 20 years after the height of the Red Scare, it rewarded the viewer already familiar with the situation by casting a large number of actors who’d been on the blacklist. One imagines casting sessions in which they’re similarly impressed by two different actors, but the one who’d escaped the taint loses by a nose. The younger characters both went into musical theatre: Andrea Marcovicci a major cabaret singer; Woody Allen the librettist of this season’s Bullets Over Broadway. The fictional TV show portrayed in The Front is a dramatic anthology (the most familiar example of this sub-genre is The Twilight Zone). Putting two and one together, I decided to make my show-within-the-show a musical comedy variety show, like Sid Caesar’s. In The Front, the main character isn’t in show business; he’s a bookie. Not a naturally humorous profession, but then, it was Woody Allen. I made my main character the star of the show – a little like Lucille Ball, a little like Imogene Coca. And her buddies her writer and director. That gave me three comic characters, dealing with the pressures of putting a live show on the air at the dawn of the television era. Such Good Friends starts as a distinctly un-serious bundle of frivolity. And then the reality of the blacklist creeps in. Which means a far more dramatic second act. But, even while being grilled by the HUAC, the characters maintain their sense of humor. Not because I needed them to, but because dealing with stresses by cracking jokes is a big part of who they are. So, a show depicting the effects of McCarthyism may never sound like a laugh riot. But in the case if Such Good Friends, that’s just what it is. What I did on my summer vacation: A family trip to Disney World got me to relive a couple of childhood experiences. And, along the journey, I had a couple of thoughts about musical comedy’s past, present, and where it’s going (far too slowly). 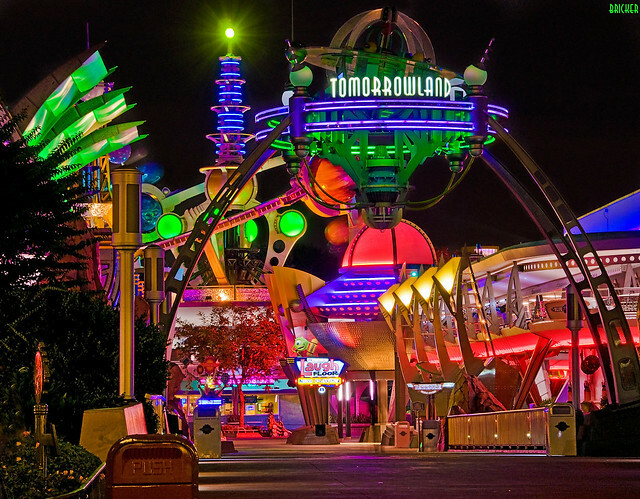 The part of Disneyland that literally filled my dreams, as a boy, was Tomorrowland. With a great deal of frequency, I dreamt about wandering into some behind-the-scenes area; I pictured ugly warehouses and random vehicles, but enjoyed seeing what regular park visitors never see. Awake, of course, I liked the rides as well as the feel of the place, a vision of how life might be like in the not-too-distant future. A particular favorite was Trip Through Inner Space, where you shrink smaller and smaller until electrons whirl around you. At one point, you look up at a giant blinking eyeball at the end of a metal tube. That’s someone looking through a microscope at you. Many major rides had corporate sponsorship, and it seemed perfectly appropriate that this one was sponsored by Monsanto: making the young me appreciative of their chemical innovations. Well, the ride’s no longer there in Tomorrowland. (Gone, too, any regard for Monsanto.) In its stead, some comedy club where monsters tell jokes, as if our stand-ups today aren’t quasi-human enough. Something that hasn’t changed, but now seems embarrassingly retro, is the general design of the place. The PeopleMover has exposed supports, curved and hole-punched buttresses of what looks like steel, with thick rivets. Now, I know that, mid-20th century, that was the vision of the future. Think of The Jetsons, or Forbidden Planet. And I can’t deny it’s nice to see that the wise wizards behind Walt Disney World haven’t updated. But it got me thinking of other things that seem stuck in time. Rodgers and Hart then went on their innovation spree, injecting narrative ballets into On Your Toes, adapting Shakespeare for the first time (The Boys From Syracuse) and presenting an anti-hero who’s hard to love in Pal Joey. Rodgers and Hammerstein’s revolution I’ve described in a previous post about Oklahoma! Their King and I choreographer, Jerome Robbins, created the apotheosis of the form, West Side Story, fully integrating dance into the storytelling process. He further refined the paradigm with Gypsy and Fiddler on the Roof. And then… And then… And, gentlemen and then…? Improvements came to something of a halt. Oh, sure, you can make a case for A Chorus Line and I’m not saying there were no more innovative shows. But, generally, the genre ceased to change with the times. And it’s high time I talk about Nostalgia Merchants. In the early 1970s, one counter to what was called the counter-culture was a series of revivals of really old musicals: No No Nanette, Irene, Very Good Eddie and Whoopee. (Only the last of these wasn’t a hit, and might be dubbed Not-So-Good Eddie.) Each purported to present audiences with what musicals were like back in the good old days after World War One and before the Depression. Of course, they were nothing of the kind, as the scripts and scores were vastly rewritten to match the audience’s false impression of how wonderful musicals used to be. Audiences – particularly those who didn’t like the badly-groomed and rock-infused youth (of Hair et al) – ate it up. Which led the powers-that-were to invest in depictions of Life As We Think We Knew It Years Ago. Grease, the most-performed American musical of all time, is an example of this. At least it has original book, music and lyrics! Forty Second Street doesn’t. Jersey Boys uses the hits of The Four Seasons to show how the band, The Four Seasons, was formed. Kind of like the thousands of MTV documentaries, no? When Nostalgia Merchants are raking in the chips, there’s little investment in innovation, and a lot of brilliant people gave up on musical theatre. Not me, of course, but the brilliant people. A form of entertainment that had reinvented itself so frequently, so wonderfully, from 1927-1967, got pickled in amber. But I can’t leave you on that note. So how about a mini-review of a mini-musical now playing at Disney’s Animal Kingdom. It’s a short stage version of Finding Nemo and I enjoyed the hell out of it. Taking its cue (and its songwriter) from the impish puppet musical Avenue Q, the puppeteers hold their puppets on sticks with various controls. They sing, dance and use facial expressions while their underwater characters move and use similar facial expressions. It’s quite moving: but maybe I’m a sucker for things about being a dad. We got to go back to the area behind the theatre, not open to the public, because Joy knew the actress playing Dory (known, to some, as the Ellen DeGeneres role)! It was all ugly warehouses and random vehicles, just like the visions in my sleeping head so many years ago. Kids! – I stepped into my childhood dream! 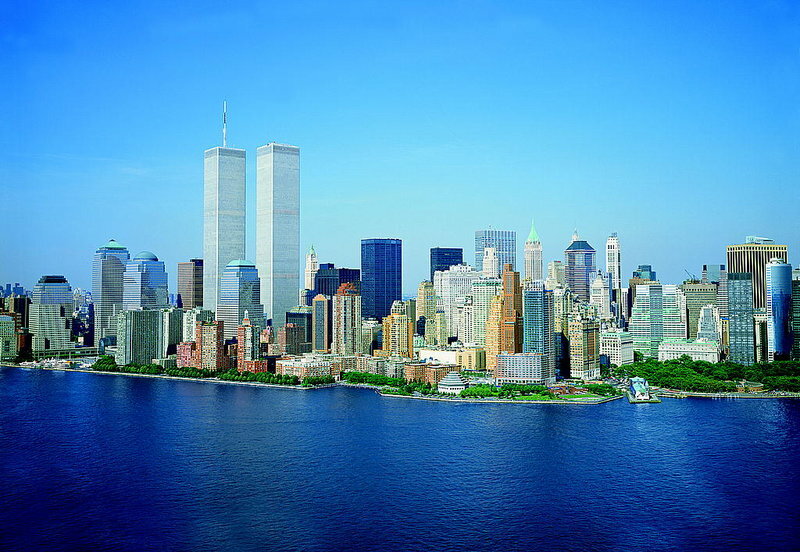 It’s been twelve years now, so perhaps you’re ready for a remembrance that isn’t solemn and reverent. As usual, I promise to relate this to the world of musical comedy. And avoid politics. Tall order. It was a gorgeous day, and I think I got up to see Joy off. She had rehearsal for a national tour, which meant we’d soon endure our first long separation. So breakfast together was worth waking for, but then I decided to go back to sleep. My sloth, in those days, would shock a lot of people. But I had a project lined up, a revue for Second City, and writing couldn’t commence until the cast met and did some improvs. You know how some people use the sleep function on their radios to nod off to? Well, I do that with news radio. I don’t want to drift off with someone else’s tune in my head; might wake thinking it’s mine. After the third or fourth plane, Joy’s best friend, in Washington, woke me, hysterical on the phone. “WTF is happening?” I calmly related that Joy was at a rehearsal, nowhere near the WTC. In case you haven’t guessed, neither of us used initials. A phone call with Joy hatched the plan that I would bicycle down and walk her home. I may have taken Riverside Park to avoid crowds. It was unbelievably beautiful and quiet. Those of us who were there instantly understand the title of my friend Elizabeth Lucas’s musical movie, Clear Blue Tuesday. At Columbus Circle, I encountered the expected crowds parading towards me, and dismounted. These were all people who worked in midtown, trying to get home. There were no trains and the tunnels to New Jersey were closed. So Garden Staters would have to walk for miles, crossing the George Washington Bridge, with miles to go after that. Some yuppie asked if I’d sell him my bicycle and I reflexively said no and he walked on. This is my great regret about that day. I was a few blocks from Joy, and had no need for the bike any more. At NOLA Rehearsal Studios, Joy was making sure each company member had some way of getting home, didn’t need to sleep on our couch. I think this was her second or third check-in with everybody, and, for some reason, I got annoyed. We wended our way West, again to Riverside Park, again to avoid crowds. At one point, military jets zipped down the Hudson. With the similarity to Pearl Harbor, it seemed certain the U.S. would be thrust into war. President George W. Bush was in his first year in office, had no experience with the military, Or foreign policy, and had previously governed a state where governors don’t do all that much. I tried to be optimistic he’d react intelligently to punish the perpetrators and wished him well. After Joy and I got home and rested our feet, we headed up to St. Luke’s Hospital hoping to give blood. Seemed like everyone in a two mile radius had the same idea. A worker at the hospital door announced their blood bank was full and we should donate elsewhere or another day. We then saw some cars that were covered in dust. It had taken a bike ride for me to learn that one gig was canceled. Meanwhile, Joy learned her tour would go on as scheduled. The key question, circulating around the company: would anyone’s romantic relationship survive the separation? I was part of a dour and nervous group, giving our send-off kisses at the bus terminal. Joy quickly bonded with her cast-mates, and they shared worries about whether they or the loved one back home could remain faithful. Early on their journey, everyone expressed their commitment to fidelity, but, as they traveled, one by one, it seemed, performers had affairs. Whether affairs with each other (sometimes leading to marriage) or one-night stands, the spreading wildfire of screwing around was deeply disturbing to Joy. Indeed, it felt liberating and useful to be part of a theatrical endeavor that was actually making New Yorkers laugh, the December after the bleak September. And Joy went from town to town bringing musical comedy to the hinterlands. And I read that the divorce rate plummeted and marriage proposals had skyrocketed. And I thought about fear. In the light of the bravery of the First Responders, and also our troops in Afghanistan (a place I couldn’t previously say without following with the words “banana stand”), other fears seemed mighty petty. Such as one’s fear that getting married sends you inexorably on the road to divorce. So the moment my Second City show was over, I flew to wherever Joy was and proposed. There’s a Harry Warren tune I dearly love, and it kind of applies, if you squint and look at this sideways: Sump’n Good Will Come of That. It seemed like an evening-long celebration of Joy Dewing. At least, to me. So many have asked me how the opening night of Soul Doctor on Broadway went. I admit to some confusion as to what answer they’re looking for. Did I like the show? Did the audience give it a standing O? Was there a surprise curtain call guest appearance with a bonus song? Was the cast party in a cool place? How were the reviews? That was August 15, but September 3 is also a time for a day-long celebration of Joy because it’s her birthday. Like many a husband, I’m at a loss as to what would make a good gift. But a little recap of that glorious night two-and-a-half weeks ago can serve as this blog’s celebration of a great day to celebrate a great day. Is this making any sense? The new Broadway musical Soul Doctor, now playing at Circle-in-the-Square, marks the Broadway debut of Joy Dewing Casting. She’s cast for Broadway before, but the previous times she was part of a team. In June of 2012 she started her own company, and making it to Broadway so fast is extremely impressive, like a rocket taking off. In fact, Soul Doctor’s off-Broadway run at the New York Theatre Workshop was JDC’s first gig, last summer. For Broadway, though, she found new people for almost all the roles; there was also a new choreographer. And the script had evolved, redefining characters. 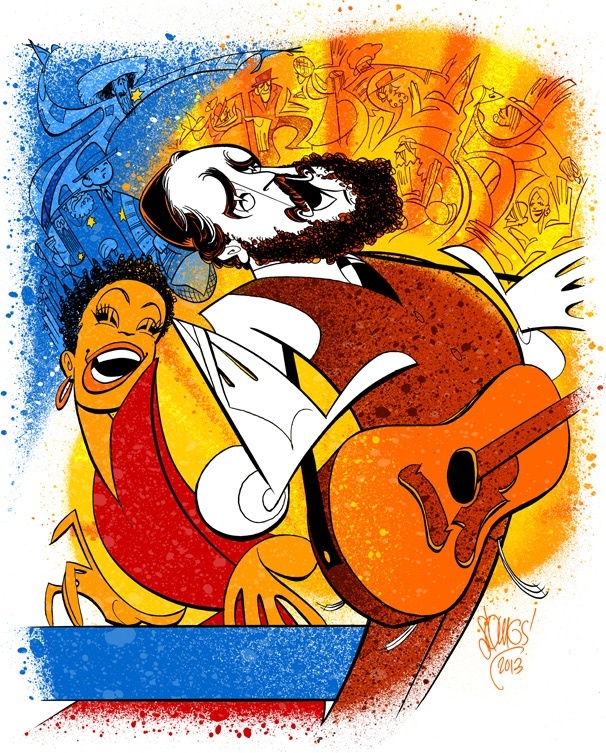 Soul Doctor is a biography of a songwriting rabbi whose life is given direction by a chance encounter with Nina Simone. Their first scene together is a splendid dialogue, with Simone at the piano, drifting in and out of song. Getting the right people for these two roles was of paramount importance. While the critics didn’t write raves about the show itself, many extolled the cast, especially Amber Iman as Nina Simone. Iman’s a powerful presence and a new face: Her resumé is not long. So, anyone focusing on what’s really good about the show tends to say “That Nina Simone actress is fantastic! How in the world did they find her?” And then Joy’s ears start ringing, because people keep talking about the brilliant job the casting director did. So, Opening Night, before the show (from those associated with the show), during intermission (from the enthusiastic audience), after the show and at the cast party, people were singing Joy’s praises, congratulating her, hugging her. Which is how it should be, every day. Joy does so much for the behind-the-scenes team putting on shows, and, perhaps more than anyone in the business, works to ensure that auditioning actors have a positive experience. You know fewer than one out of a hundred will be cast, but when you talk to performers who went in for a JDC project, and didn’t get the role, they look upon their time in front of Joy favorably. This is a business where, unfortunately, too many actors, tired of the onslaught of constant rejection, focus their frustration on casting directors. So, to be popular with the players is a rather rare thing. Yes, I realize no one’s trusting me to be objective about Joy, or even about Soul Doctor. But there must be some value, I think, in reading what a bunch of different critics say about a show, and seeing if a common theme emerges. 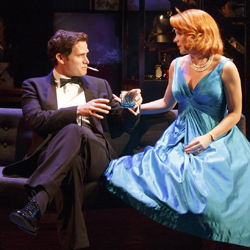 For instance, take Catch Me If You Can, a 2011 Broadway dud by Terrence McNally, Scott Wittman and Marc Shaiman. Never saw it, but clearly remember the critical consensus that it didn’t tell its story in a compelling way. Now, before it opened, it looked to be a sure hit, with a quartet of musical theatre stars of the highest caliber: Norbert Leo Butz, Aaron Tveit, Tom Wopat and Kerry Butler. If you can’t manage more than a five month run with those personalities, what have you? To my surprise, a national tour was announced, and Joy was hired to cast it. 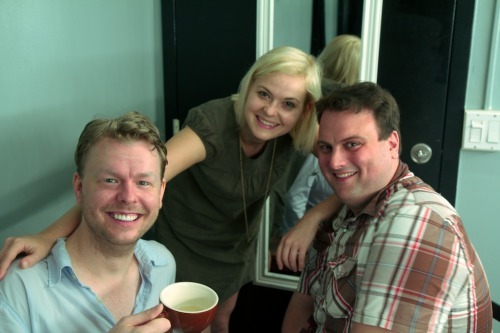 In her cast were two former students of mine, Merritt David Janes (in the Butz/Hanks role) and Vanessa Dunleavy. The lead was a very young fellow named Stephen Anthony. Well, just like any spouse with internet access, I read a lot of the road reviews, and regional critics really liked the show, thought it worked, but were especially enthusiastic about Joy’s discovery, Anthony. What, I ask you, accounted for the difference in response between the all-star outing on Broadway and the road show filled with unknowns? In Soul Doctor’s case, I think it’s instructive that many critics note the passivity of the title character, an issue that’s plagued many a first-time musical writer. Protagonists need to do big things, rather than be buffeted by fate like a feather in the wind. That’s why the much-revised Leonard Bernstein musical Candide can never quite work. Voltaire wasn’t fashioning a dramatic narrative, and it’s tough for audiences to embrace a hero who doesn’t do all that much. But the night a lonely cleric wanders into a jazz joint near Columbia and strikes up a conversation with the lady behind the piano – well, there’s gold in the playing, by Eric Anderson and Amber Iman. And I tell you something nobody involved with Soul Doctor knows – Joy and I live right near a little jazz joint near Columbia. Beshert! 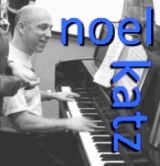 You are currently browsing the There's Gotta Be a Song blog archives for September, 2013.